Are You Ready for the Next Step in Customised Campaigns? Supercharge your print campaigns with personalisation – and see your response rates rise. Variable Data Printing can see the conversions on print campaigns skyrocket. Whether it is from the ability to add PURLs (personalised urls) or adding information that is interesting and relevant to the recipient, reports have shown that personalised data sees response rates increase dramatically. (watch the video). 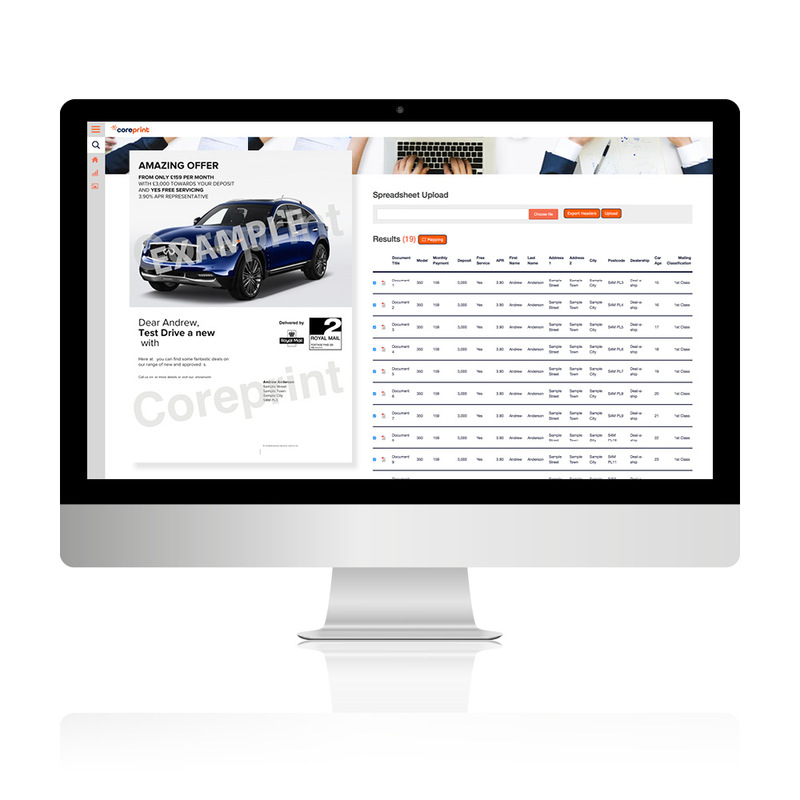 CoreDirect offers the user an intuitive solution for creating anything from a simple variable product to a highly personalised marketing campaign. This is available as a bolt-on module for Coreprint Pro. Through templated files, either made by the creative team (or through Vpress), a production ready file with all the data populated can be as simple as uploading a spreadsheet. Ask us today how your print campaigns can get a new lease of life!